In addition to Teatime English (English services for adult learners), I provide children's educational services through www.childrensenglishonline.com. Check out my work on Instagram here. I provide fun, creative and engaging English classes online via Skype. Your children learn English at school but when do they really get chances to speak? Children from 5 year olds to teenagers enjoy my interesting and interactive classes. I encourage them warmly and I always make learning fun. Classes are $15 (€13 or £12 GBP) for 30 minutes. Your children don't need to leave home to have classes with me here in London! Contact me for a trial class and see for yourself. 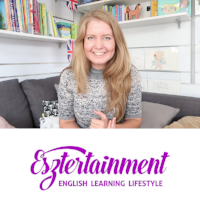 Would you like to know how to help your children with their English? Would you like to give your child opportunities to speak? This booklet will help you make learning fun and engaging. I will teach you tips about how to include English into your typical day. In my opinion, if you simply give your children textbooks, it could actually turn them off English. However, with my suggestions, they won't even realise that they are 'studying'! Download it below. If your family is based in London and you need help with either KS1 or KS2 tutoring, I can help you. I am also an experienced home school teacher and can provide this service on a short or long-term basis. I have a wealth of experience with a wide range of children including those with special educational needs, extremely gifted children and children whose main language is not English. Just get in touch and we can arrange a phone call to discuss your child's educational goals. I've been working in children's education for 15 years and I'm a qualified primary school teacher. I hope I can become your child's teacher and encourage them to love English! I invite you to join my free email club! Receive free weekly mini-classes and information when you subscribe by email.